GARDEN CITY, NY--(Marketwired - Apr 15, 2015) - Many people experience unexplained pain due to an injured or compressed nerve. According to Dr. Laurence Glickman, a plastic surgeon in Long Island, this is a common occurrence post-surgery and is a condition that can easily be corrected with another small surgery. He says that sometimes this pain is simply a result of nerve compression and is not connected to an injury or surgery, as with persistent migraines or carpal tunnel syndrome. Physicians trained in peripheral nerve surgery, like Dr. Glickman, are able to release the compression of the muscles that cause nerve constriction during a migraine. In some cases, he says patients may experience a near-immediate relief of symptoms following surgery. There is a broad range of treatment options for migraines; from physical therapy, to pharmacological treatments, to injectable methods -- such as BOTOX® injections -- which can temporarily relax the muscles that constrict nerves. Another treatment program performed involves the use of nerve blocks with an anesthetic and a steroid. This provides relief to the irritated nerve and indicates to the doctor that releasing constrictions around the nerve can potentially relieve the patient from chronic headaches. If any of these treatments are temporarily successful, migraine surgery may offer a permanent cure from symptoms. A neuroma is a disorganized growth of nerve cells at the site of a nerve injury. What many people are not aware of, explains Dr. Glickman, is that nerve reconstruction is a part of plastic surgery. The treatment of nerve injury or compression is not limited to just carpal tunnel or migraines. Neuromas can occur anyplace on the body, causing debilitating pain. Dr. Glickman, a senior partner at Long Island Plastic Surgical Group, is the only fellowship-trained peripheral nerve surgeon on Long Island. If you find yourself disabled with intense, unexplained pain that your doctor and specialists can't pinpoint, consider seeking out a plastic surgeon that specializes in peripheral nerve repair. Dr. Glickman is board-certified by the Royal College of Physicians and Surgeons in Canada and the American Board of Plastic Surgery. He trained in a Plastic and Reconstructive Surgery residency at the Nassau County Medical Center and then completed a fellowship in Peripheral Nerve and Maxillofacial Surgery at Sunnybrook Medical Center in Toronto, Canada. 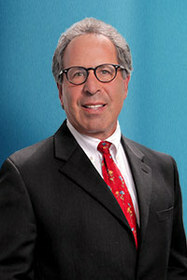 Dr. Glickman has been in practice for 25 years. He is available for interview upon request.